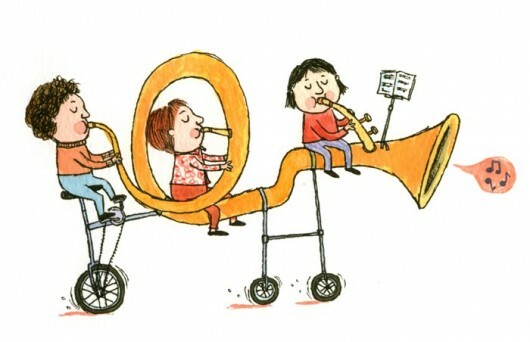 In Child Sense: Helping your child pick the right musical instrument, Priscilla Dunstan of the Kansas City Star (Jan. 24, 2011) wrote a very interesting article regarding the tendency for even young tykes to gravitate toward certain musical instruments for children based around their dominant sense: visual (see,) auditory (hear,) tactile (touch,) taste and smell. Here’s what Dunstan says about the musical instruments for children learning best through vision: Visual children prefer order and perfection. They do well with instruments like the piano because they can see the keys, and make the visual connection between their fingers, the keys and the musical notes. Further, in piano, how the musician plays and looks is very ordered, which is a comfort to a visual child. Even better, being able to play the piano is an impressive skill, one that friends and family will appreciate and praise something very important to visual children. Musical instruments for children learning best through hearing are different: Auditory children will respond to the freedom of a string instrument. 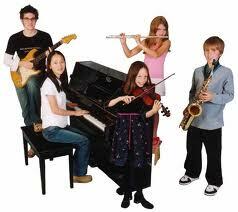 They are equipped with the skills to know, better than their classmates, when finger is off, making a note sharp or flat. Auditory children will enjoy the freedom of being able to create their own music, or being able to replay what they hear on the radio, rather than practicing off a score. 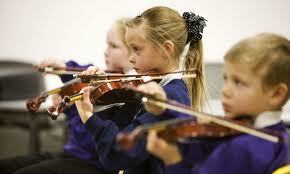 Try to allow your auditory child this freedom in their musical learning. Not surprising, the musical instruments for children who learn best through touch will be those played with physical components: Tactile children will enjoy group lessons, and will likely choose instruments that are physically demanding, like trombones, tubas, or cellos. They like being able to physically wrap themselves around an instrument and have a good laugh about it with friends. Tactile children are comforted by rules, and will try to follow them whenever possible, making them great band and orchestra members. They will love being part of an event like a concert, and find a performance with an audience exciting and fun. And what about the musical instruments for children who learn best through taste and smell? Taste and smell children respond to magical-type instruments. They will like the flute or harp, for the way it feels, or because it might remind them of a special movie. Your taste and smell child may choose an instrument that her favorite cousin plays, or one that Grandma likes. You can use music to teach taste and smell children another way they can express their feelings. Music can be a great outlet for their special brand of sensitivities. I found it fascinating to learn that certain musical instruments for children are better suited for certain kinds of learners. And, since I am a huge Harry Potter fan, I couldn’t help but think of Hogswart students going into Olivander’s Wand Shop in Hogs Meade. In this magical shop, young wizards do not choose their wand…the wand chooses them! It seems if only parents would allow their children to seek out their own musical expression, the instrument will call to them, and they will answer. Do your children play a musical instrument? Which ones? Do they suit them? Please feel free to leave a comment about musical instruments for children in the box below. Fascinating post. It’s amazing how strong our channel preferences can be – they seem to dominate all our choices without us realising it. My kids chose guitar, piano and saxophone – and each one fits with your profiles! I was so grateful for this blog! My 7-year old picks up on music quickly. She has a super ear for it. 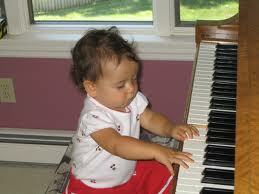 However, I am requiring piano at least three years before she is able to venture off into the great instrumental sea! She wants to play violin, guitar, drums, piano, saxophone, harmonica and kazoo! I think it’s great and I don’t want to discourage any particular instrument, but here we go with taking them one at a time and weeding them out. I’m not sure how else to figure out which one she will take off with, or if she’ll try to master them all! When I was in elementary school (many years ago) the band director looked at the potential new band members’ teeth and told us what instruments we could play. He looked at mine and told me I could play the drums. I hated it, didn’t stick with it, and later tried to play the trombone and the trumpet anyway, but by then I was far enough behind I couldn’t catch up. I discovered this web page today… Thought it might be interesting to your readers with interests in music.